Our morning started off with breakfast, laughs and more laughs. My cousin can make me laugh like no other person on the planet. Now, Wendy and Will are added to that category. They moved around their kitchen with joy and smiles. 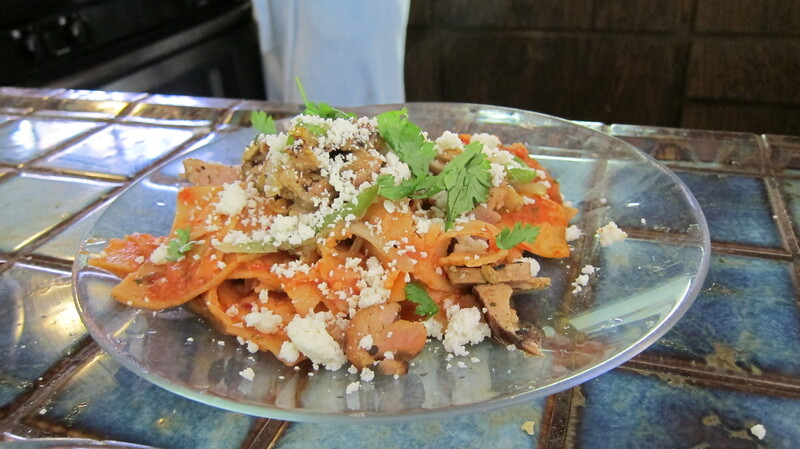 Pancakes and chilequiles….have I mentioned that I ate more food in two days than I had the entire trip to get there! It was lovely and while in the back of my mind, the idea that I should be getting on the road was niggling. I ignored it for more pleasurable pursuits. We meandered to one of my favorite vineyards. I was introduced to Preston by my cousin and her partner a few years ago. Next to Will’s Dutch Henry wines, Preston’s wines come close second as my favorite. Although, Will just turned out the most delicious Sirrah….mmmmm. I digress. Moez, my cousin’s partner, was a chef in Calistoga for many years. He worked with Maureen Chadwick. Maureen worked in the tasting room at Preston’s and now has been made manager. Go Maureen! Sadly, we thought that meant she wouldn’t be working Sunday. Lucky for us and sad for Maureen, she was called into work and I was able to chat with her about wine and the book. The great thing about driving on a book tour….I get to take home wine! Preston has this wonderful thing…the wine jug. It’s a great story and wonderful wine. Dear Hubby and I never partake because a jug of wine doesn’t fly well. Guess what I’m toting home? 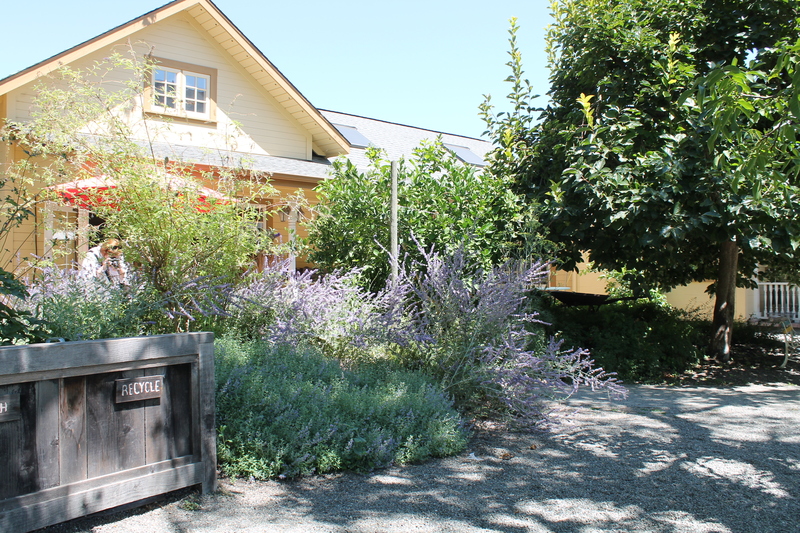 If you’re in Sonoma Valley, you must visit Preston Farms and Winery, Dutch Henry Vineyards and Summers Vineyards. I didn’t get to Summers this trip, but I’ll be there in October! Go during the week and say Hi to Maureen! Tasting and picnic at the winery put us on the road at 3 p.m. It was with bittersweet feelings that we gave hugs all around and said our farewells. Of course, October will be here in a blink. 3 p.m. Yep, a little late for road tripping with San Francisco between you and your goal. There was much discussion about our route…my intention to visit Santa Cruz Coffee Roasters was a hot debate topic given that Morro Bay was so beautiful and needed to be seen. Hindsight is 20/20. I followed some suggestions and was trapped in San Francisco traffic for over an hour. We ended up off of our route and way behind schedule AND I didn’t get to pick up some of my favorite coffee. All of that stress the other evening was pointless. We ended up changing our plans anyway. We put in after a bit of discussion into San Juan Bautista…home of garlic farmers! It was a nice evening IN the camper. We nibbled lightly, still full of food and finally found cell service. Checking in with all parties about our next step then passed out early. I’m rousing the human girls….the dogs have been up for over an hour, sigh. I’ve walked the pups and mapped out our route to get us back onto Hwy 1 to follow the coast into L.A. We’ll still see Morro Bay, but have passed Santa Cruz, so I’ll have to order my coffee as usual. Talked to Dear Hubby about the hail storm and flooding at home. Looks like the house’ll be under construction soon and we’ll find out about whether the cars will be fixed or totaled. Perhaps an upgrade to my Toyota FJ in preparation for the camper upgrade? Eh, whatever. It is what it is….with more storms on the way this week. I have two girls to drop off in L.A. I have some folks to squeeze in visits with and then head off on the final leg of this expedition. Joy to all on this Monday morning….it is Monday, right?